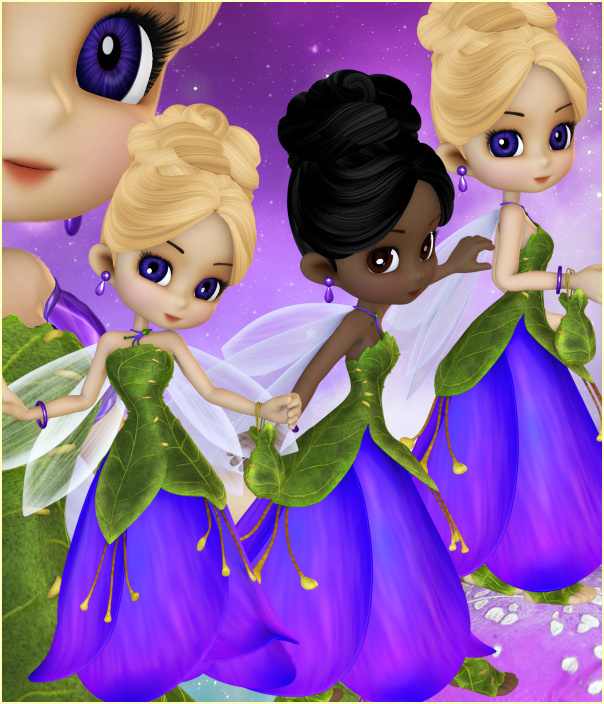 Sweet April fairies to bring the beauty of springtime blossoms to your work. The fairies in the scene above have been greatly reduced. Not all are shown. Add some springtime sunshine to your artwork with these April Fairy Tubes. April Fairy Tubes, the seventh of a series of fairies that I’ll feature each month. 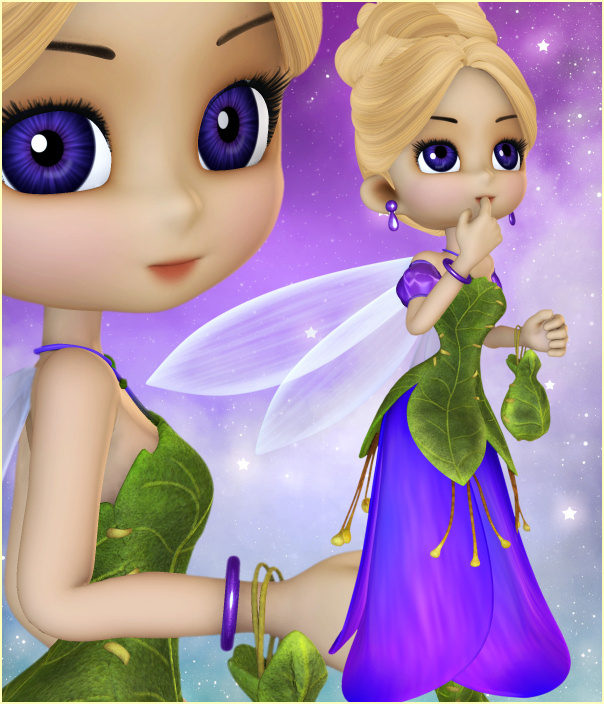 This month’s fairy is April Fairy, who brings the beauty and sunshine of spring. Her violet skirt is made out of soft flower petals and is as fragrant as an iris in bloom. Her sunshine will shine through your designs all through the year and bring cheer. 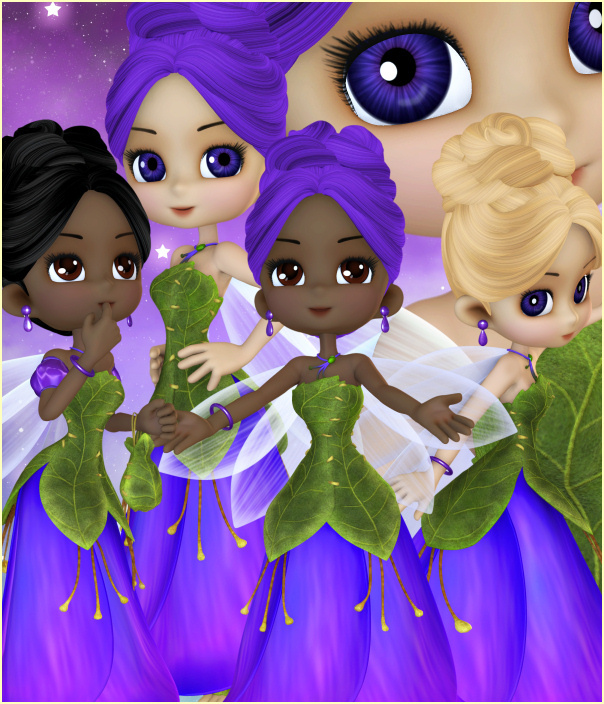 An African version of each fairy is included. The seamless tile seen on this page is also included–along with a two bonus fairies in pink skirts. This package contains two zip files, which are approximately 24-26 MB each.